Today I bought some CDs! And!! 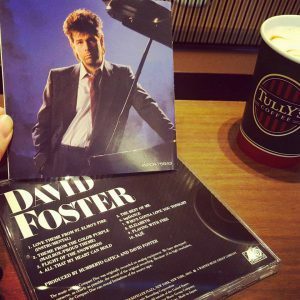 It was so happy I got a solo album of my super hero David Foster ! So cool!!! My favotite song is “St. Elmo’s Fire“, the theme song of the film. Kenny G is joining in this song at “David Foster and Friends” show and it’s sooo beautiful!!! ← Love Tokyo in Winter!